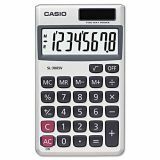 Casio SL-300SV Handheld Calculator, 8-Digit LCD - 8-digit handheld calculator features 16-digit approximations, large easy-to-read display, metal facing, and three-digit comma markers. 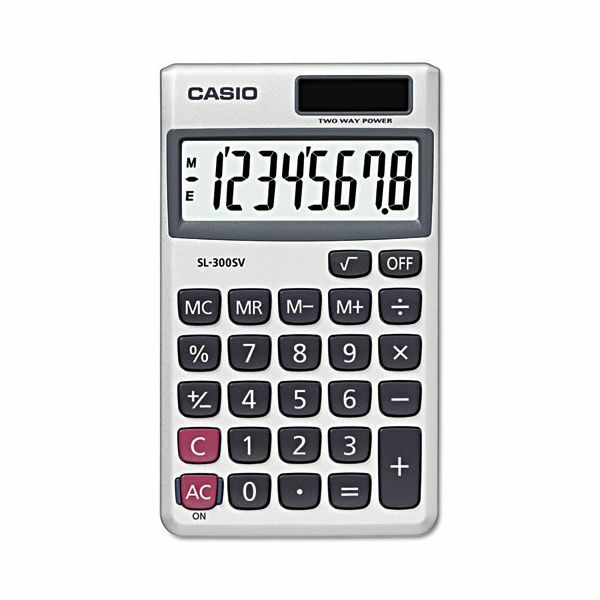 Functions include independent memory, square root key, constants, profit margin, percent and change sign. Calculator uses solar power with battery backup. Weighs 6 oz.